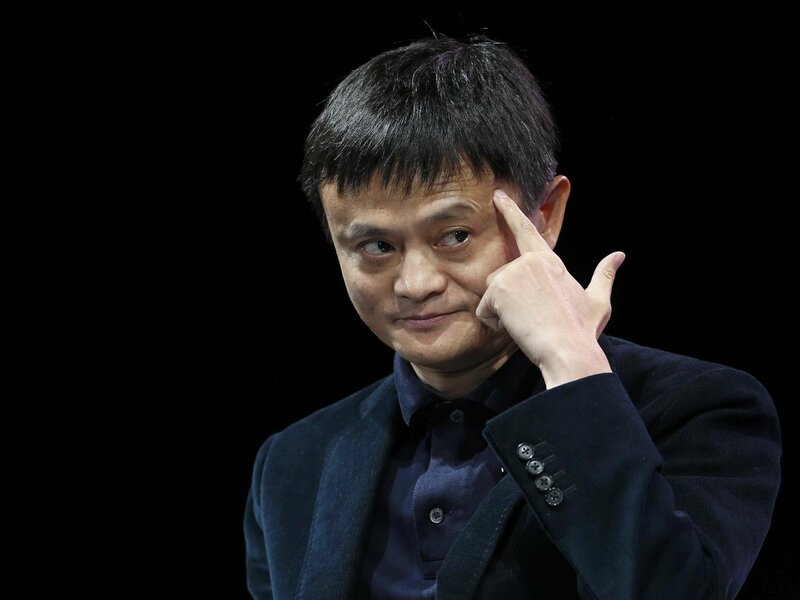 Beyond tech, founder of Alibaba wants to change the mind-set of young African entrepreneur. How will he do it? Making it in the ranks of China’s top tech entrepreneurs is exceptional and above all competitive, but not for Jack Ma, a man who has taken the world economic trajectory and the entire Chinese internet industry by storm. As he tells it, Ma’s rags to riches trail are not that remarkable. He was turned down in over 30 job interviews, including one at Kentucky Fries and Chicken (KFC). Also, he applied to go to Harvard but was rejected 10. “I even went to KFC when it came to my city. Twenty-four people went for the job. Twenty-three were accepted. I was the only guy,” he says. He started out without any prior knowledge of business or computer technology. What he held was only the notion of what people want. Ma’s humble beginnings has shaped who he is today – a charitable, intellect and down to earth fellow who is the founder one of the biggest global ecommerce shop, Alibaba. Today, Forbes ranks him among top 3 richest men in the world, putting his net worth at over Million in 2016. During one of his visits to Kenya, where he hosted trade talk show for entrepreneurs, dubbed ‘Youth Connekt Africa Summit’, he touched on the usefulness of failure and how it should be a catalyst for innovation and progress. Ma said people often asked him how to run an e-commerce company without knowledge in technology, financing or marketing, and his response was that it was possible if you knew what people want and what they don’t want. “As an entrepreneur you need to hire people who are smarter than you and always making sure that they are better by training them and disciplining them. He encouraged the students pointing out that that the next entrepreneurs will be online. “If you cannot sell a product across Africa or the region you will not be in business,” he said. Ma is contented with the prospects of Kenya’s internet connectivity, as he points out that it is one of the fastest and most powerful in the region. The tech billionaire further states that the future belongs to tech-preneurs and people who use the internet to do business. He predicts that in the next 20 years Africa is going to be the best place for ecommerce. “African entrepreneurs need to embrace technology because technology opens us up to opportunities that we would not normally have. We are lucky because we are entering in the interesting period, more opportunities where 80 to 90 per cent businesses in the future will be online,” he says. Africa, he adds, has the potential to be one of the biggest online hub, pointing out to the remarkable entrepreneurs in the region, but the knowhow still remains a challenge. “I am interested in Africa, and Alibaba is looking for partners to give knowledge, and tech-know-how so as to explore and create more training opportunities for ecommerce, internet, and entrepreneurs, because we have potential here in Africa, the opportunity for Africa in this internet age is massive; the population is young and the market is still very huge,” he said. He dismissed the notion of people determined to be number one, saying that instead we need to strive to be the best in helping people become better. Ma says that, in the past 18 years he has been championing for the use of internet to make business easier to enable them sell their products all over the world. According to the entrepreneur in order to be successful, one must have a high emotional quotient because a person with high emotional quotient knows how to work with people, how to understand people and how to support people. “If you do not want to fail you must have a high Intellectual quotient because you will learn and continue to pursue knowledge to protect your business and people, complaints do not work and nobody should help you .You should get used to failure because if you are not used to, how can you win?,” he says. He insisted that being successful is not just about education and what you know, but rather about the opportunities you grab. “You should read more failure stories because you learn because no matter how smart you are in your business you will make the same mistakes again and again. The failure stories teach you how to face the mistakes when you are in trouble. In life there are always opportunities, chance and failure the important thing is how you survive from failure, when you are rejected,” he says. Jack Ma stressed that computers are only a platform for businesses and the biggest aspect of business is a person to person and that business communication should always remain human. He further says that people complaining is the best opportunity. “Opportunity always exists in the place where people complain because if you can solve the problem you have the chance to be successful in the future,” he says. He notes that the eCommerce infrastructure in Africa is not very well developed and says that it’s a good opportunity for people to create and work on providing a new and convenient shopping space. “In the next 30 years it’s not the internet companies that will win but those young people who use the internet well. As Africans the poor internet infrastructure should be the chance. Africans should develop without following other countries models,” he says. He further points out that, as an entrepreneur, one should learn from others mistakes. “Never give up there’s always opportunity there because it’s easier to give up keep hope the world is challenging but there’s opportunity there,” he says. He says that customers should be number one because if they are happy they will pay the money, if the employees are happy they will be creative and innovative and if employees and customers are happy the shareholders will be happy. According to Ma, what sets him apart from everyone else is his ability to have a long term vision for his company, while at the same time maintaining a short-term, action-oriented philosophy that allows him to adapt to regulatory and market changes. Besides his position at Alibaba, Ma is a board member of Japan’s SoftBank and owns China’s Huayi Brothers Media Corporation based in China.